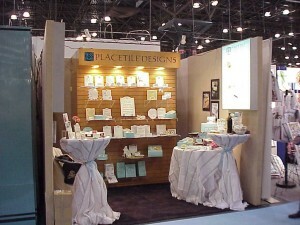 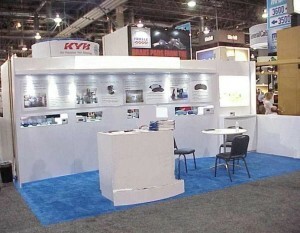 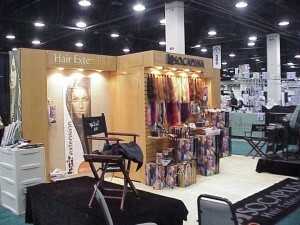 The Show Masters also offers custom pre-existing trade show exhibits for different booth sizes and different exhibiting venues. From portable ‘pop-up’ displays to elaborately contoured, large scale exhibit structures, we offer customers lease options that far exceed what is available through general contractors in the show kit. 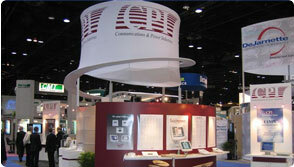 Custom exhibits promote a visual identity of a company that has been around, and will endure, while projecting the values and quality that the company and its product represent. 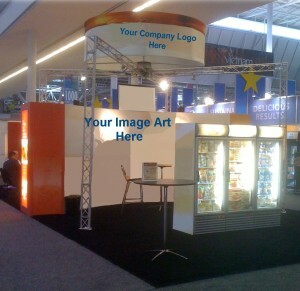 Companies that lease these exhibits from The Show Masters can present this identity to the industry for the cost of buying a pop-up or renting a ‘cookie-cutter’ display from the general contractor. 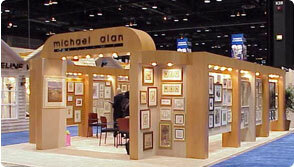 Change some graphics, and these The Show Masters custom exhibits become yours as if they’d always been. 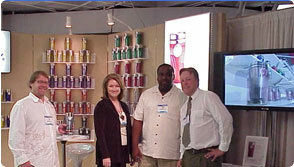 For booth carpeting, furniture, literature stands, and other additions and amenities, click Graphics Production & Exhibiting Accessories.